Aussie Deli…cious!!! Not Authentic Aussie but Still Yummy オージー・デリ、、、シャス!!! 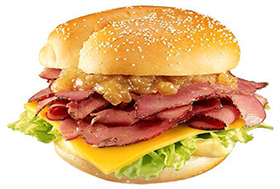 McDonald’s Japan finally began long-awaited sales of the Aussie Deli at its outlets across the country from Aug. 31 for a couple of weeks. Kangaeroo.com has been skeptical about the burger, which comes in two versions — the premium sandwich with cheese and the plain burger. 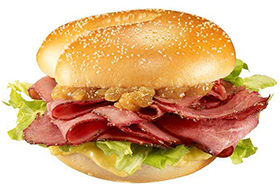 The main ingredient is uncooked pastrami beef in the cold burger and spicy mustard sauce acting as the main condiment. Our big beef, if you’ll pardon the pun, is that although the burgers are being promoted as Australian, the taste is nothing like food served Down Under, where local flavored McDonald’s includes beetroot, eggs and even pineapple. Thus we went into the taste test hoping to vindicate our anger at the Golden Arches’ affront of both Japanese consumers and Aussie McGourmands. And we must report the result that our misgivings were totally groundless. Admittedly, the pastrami and spicy mustard are not Australian tastes by any stretch of the word (earlier today, there was coincidentally a report in a prominent Australian newspaper that needed to explain what pastrami was to its readers, such is the rarity of its appearance on dining plates Down Under). Nonetheless, the burger is scrumptious, offering a refreshing, tangy taste. Although the sandwich in both its varieties possibly lacks a little beef in terms of volume, what substance it does provide the eater comes from the healthy serving of pastrami, which of course is Aussie Beef. 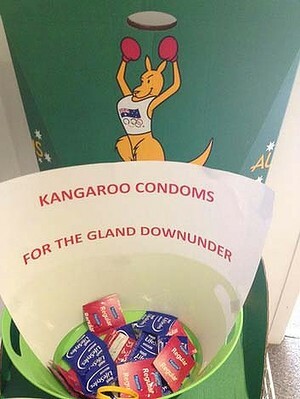 The guerilla marketed, kangaroo-branded condoms that appeared in the Olympic Village at the 2012 London Olympic Games. 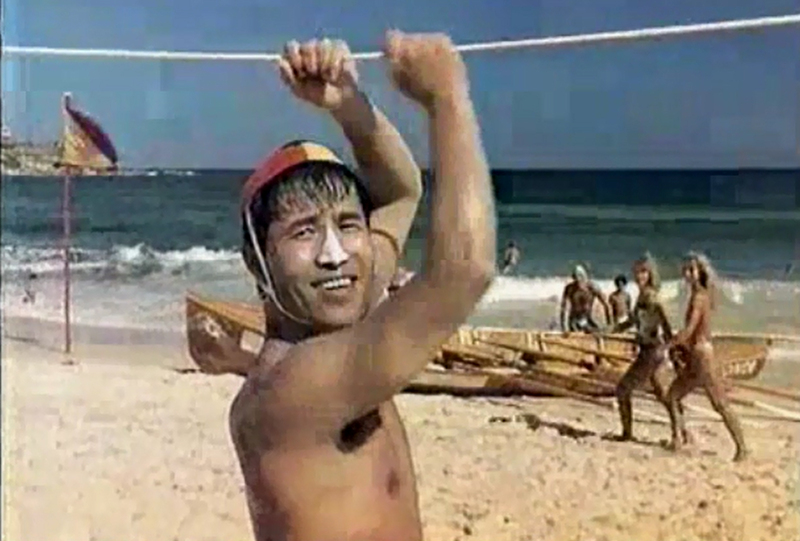 Mr. Okamura, an unforgettable character in NEC ads in Australia during the 1980s and 1990s. 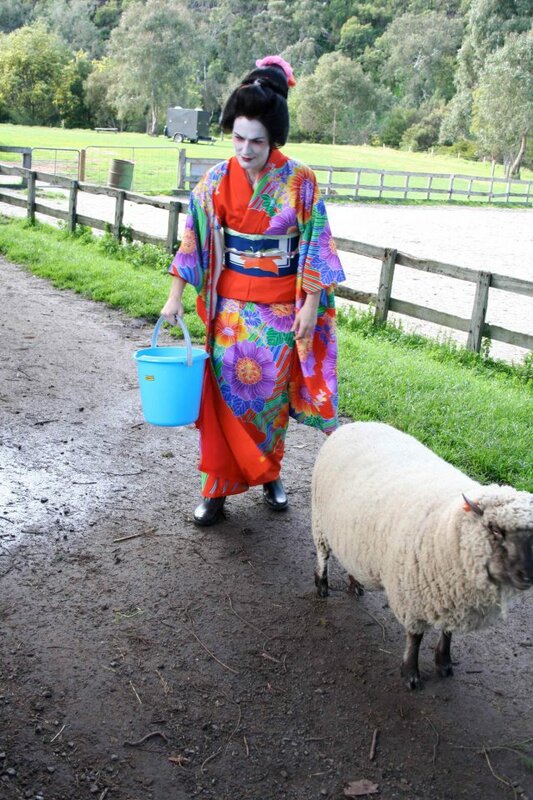 Japan was trending in Australia long before it became flavor of the month in the way it has in recent years courtesy of Cool Japan. 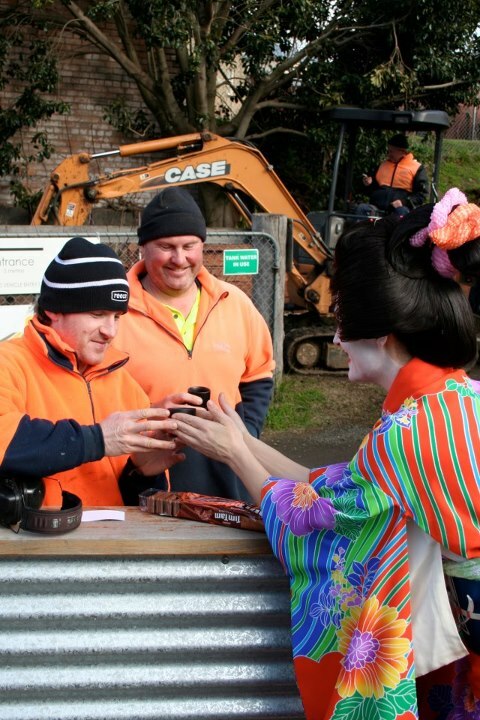 During the late 1980s through to the mid-1990s, a time when trade friction between a seemingly unstoppable Japan and the struggling United States resulted in such incidents as American autoworkers using sledgehammers to demolish a Japanese car, Australia was slowly moving out of its self-imposed isolation to embrace the Asia-Pacific region and building the firm relationship it now has with Japan. 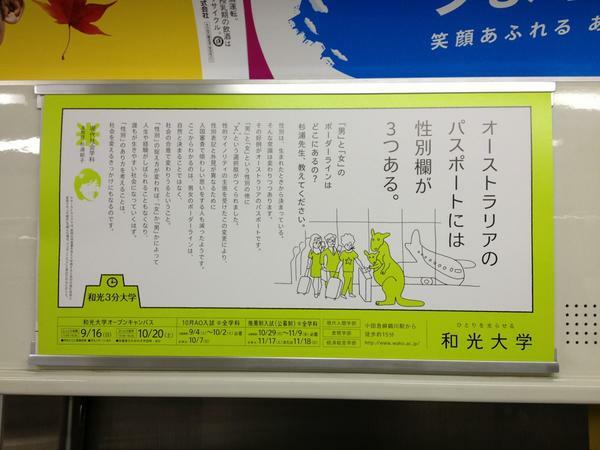 Australia was a pioneer in the Japan Exchange and Teaching (JET) and Working Holiday programs now welcoming thousands of people from all over the world to Japan. Part of Australia’s embracing of Japan during this time came through the “Japanese character” often picked up by advertisers for use on Australian TV, a trend that Mitsubishi Australia began in a 1978 ad featuring sumo wrestlers and introducing into the lexicon a still commonly used phrase of “not so squeezy” to describe a roomy atmosphere (or, alternatively when used ironically, a tight spot). This trend also made NEC’s character, Mr. Okamura, and the fisherman in the John West commercials, popular across the country. A pair of Gold Coast teens are among the finalists in the 13th Japan Bishojo Contest, a beauty and talent pageant for young women that has been the launching pad for some of Japan’s top female performers over the past 25 years. 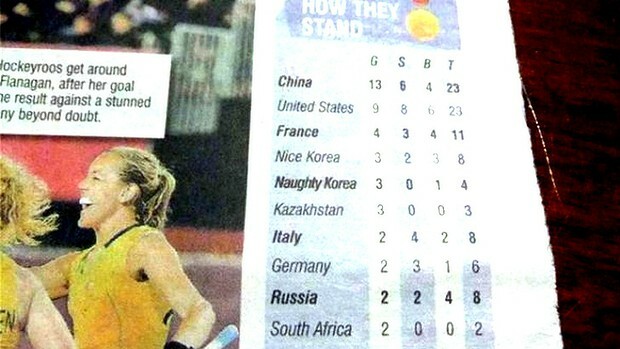 Aussie-born Gold Coast residents Ayano Wakayama and Runa Takahashi are among the 21 finalists in the contest to be decided in Tokyo on Aug. 25, 2012. The contest is open to young women aged 13 to 20 who want to become a star. Among the previous prizewinners in the contest who have gone on to become prominent performers in Japan include stars such as Aya Ueto, Ryoko Yonekura and Kaori Mochida. 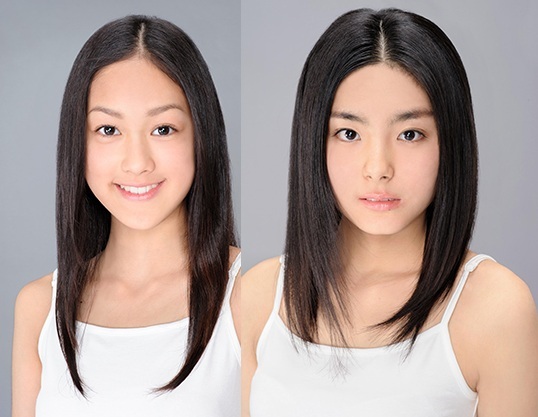 Both Ayano and Runa are 14-year-old, Year Nine students from the Gold Coast. 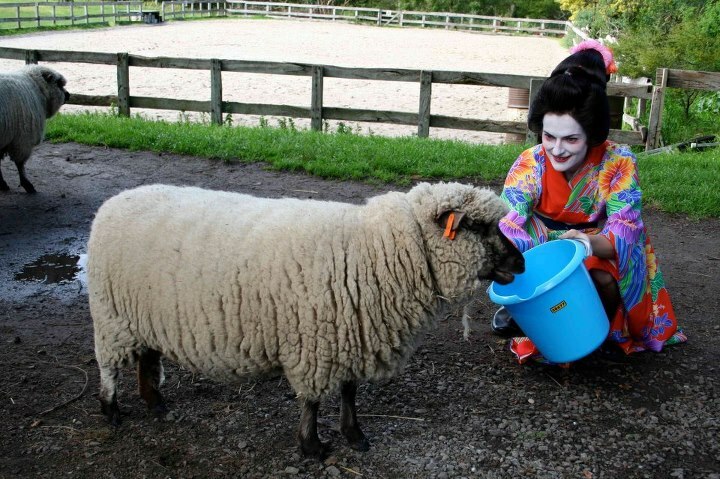 Ayano’s hobbies include ballet and other forms of dancing, while Runa enjoys horseriding and skiing. Vote (and see current voting results) here.